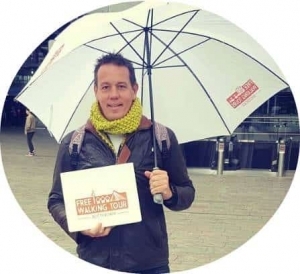 FREE Walking TOUR Rotterdam Join This Free Tour Today! 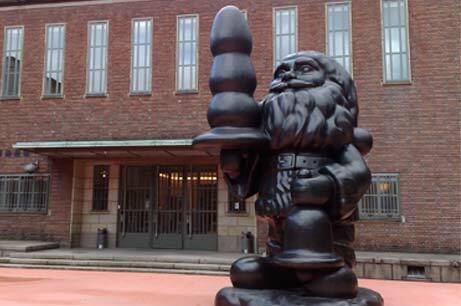 If you want to know more about Rotterdam, you must take this walking tour with a Rotterdammer! 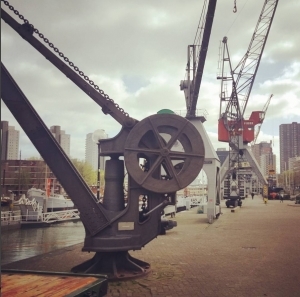 Walk with us in Rotterdam and learn all about the long history this modern city offers. Rotterdam began as a fisherman’s village 800 years ago! 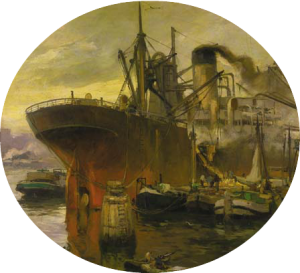 With the ideal location on the big rivers of Europe, Rotterdam was an industrial and trading power until the city center was destroyed by German bombs of World War Two. Rotterdam has been rebuilt and has a unique combination of old and new architecture with a modern urban lifestyle. 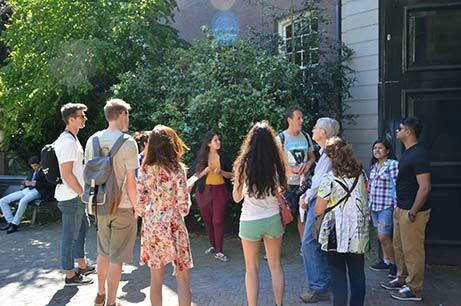 Join Free walking tour Rotterdam to share the history, hear the stories and see the buildings of this diverse city! 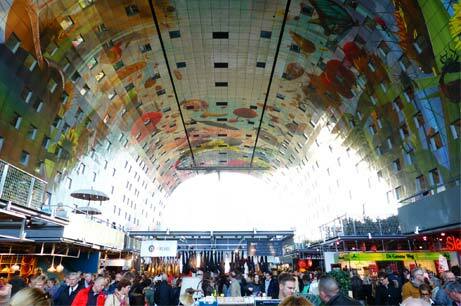 Rotterdam is the second largest city in The Netherlands; a must-see during your visit. The city provides a great view of the futuristic modern Dutch architecture; the cube houses and brand new Markthal attract architecture lovers worldwide! With Free Walking Tour Rotterdam I will show where and how badly the city was bombed in the second world war. The bombing resulted in the loss of most of the old city center, and finding the remnants of the old city requires local knowledge. Together we can discover the great historic stories between the modern architecture. The diverse ethnic community offers a great variety of shops and restaurants. 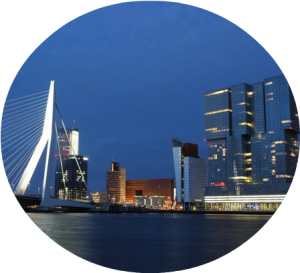 Join me on my next Free Walking Tour and I will tell you where to go and what to do in this marvelous harbor town of Rotterdam! Hidden under a layer of postmodern architecture, I invite you to uncover Rotterdam’s history and charm. Although Rotterdam lost its heart on May 14th, 1940, it never lost its soul. With a strong ‘work hard/play hard’ ethic, a new Rotterdam was built from the ashes, to celebrate its premium soccer team’s championship on the same date in 2017. Come along, and find out how this city sets itself apart from every other typical Dutch town. Listen to an insider’s stories about the art and city landmarks, and explore the streets where the real Rotterdammer thanks, God it’s Friday. See you in ‘010’! 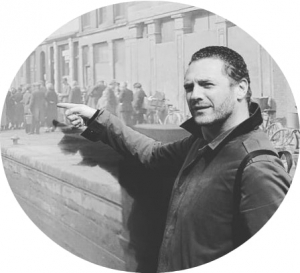 Born in Rotterdam, educated in Rotterdam, lived all my life in this town without a heart, Altstadt as the Germans say, but the Rotterdam free walking tour with Hans will steal your heart. Born and educated in Rotterdam. I have lived my whole life in this city without a heart, or Altstadt as the Germans say. The free walking tour in the city without a heart will steal your heart, through the stories I have to share with the beautiful city in which I live. 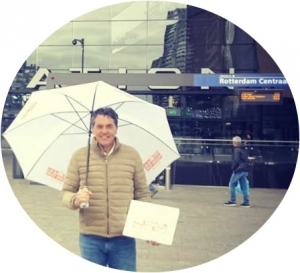 As a visitor to my hometown, I will give you the Rotterdam story of 650.000 Rotterdammers with 175 nationalities and their harbor city; the North and South gap; Erasmus; great architecture like Cube houses; and much more during the Rotterdam free walking tour. 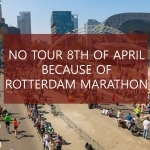 The Rotterdam story starts in 1270 and I will guide you through almost 800 years in just 2 hours with a 5-kilometer walk starting at the amazing Central Station through the center towards Erasmus bridge which closed the North-South gap! The Free Walking Tour Rotterdam is a must for everybody who wants the know the in’s and out’s of Rotterdam from a Rotterdammer! 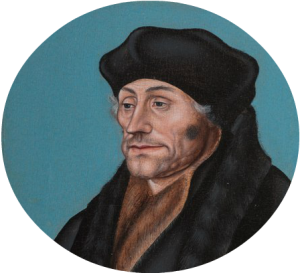 Why has Erasmus a bridge and university named after him? What made Erasmus of Rotterdam so special? 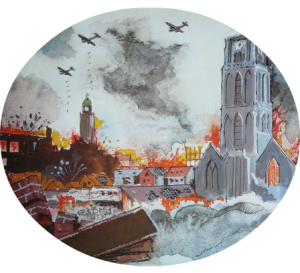 Discover how big and devastating the WW2 bombardment on Rotterdam was, and how this changed the history of Rotterdam and the Netherlands. Rotterdam is also known as Manhattan on the Meuse, because of its impressive skyline. See for yourself why Rotterdam has such a fantastic reputation when it comes down to architecture. 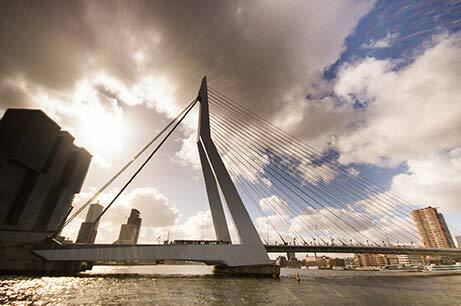 By connecting the North Sea and the great rivers, Rotterdam is also known as the gateway to Europe with the largest harbor of Europe. We are going to take the time to really see, enjoy, appreciate and photograph the best that Rotterdam has to offer. We travel along the most famous streets in town. The Free Walking Tour Rotterdam works on a pay what you like basis. This means you get to set the price for the walking tour. Our guides work hard to keep you entertained and work for your appreciation, to try to give you the best possible tour! Whether you’re in Rotterdam for the first time or the hundred-and- first, we know we can tell you stories and show you sites that you have never seen before. 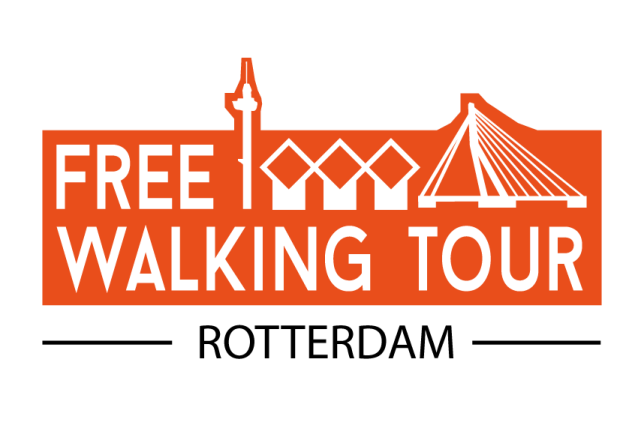 Free Walking Tour Rotterdam perfectly matches top quality guiding with budget-friendly travel, to provide the best walking tour in Rotterdam. We took the tour with Vincent who was a super fun tour guide and knew a great deal about Rotterdam. He also offered great tips on what to do with the rest of the day and was happy to answer any question that might pop into your head. He really told the History in a fun and entertaining way! In the 2 (short) hours of the walking tour you really get to know the city Rotterdam very well. Definitely, would recommend to anyone 🙂 Thanks, Vincent! Our guide was Tim. He was very nice and funny, he took the time to tell us a lot of fun facts that you don’t find on travel guides. The tour lasts for a couple of hours where you don’t stop much anywhere, but you can get an idea of what you want to look at better after it. I recommend it to get to know the city Rotterdam 🙂 we also exchanged food advice with the guide, so we will eat at the witte de wit straat! Thanks for the tour, highly recommended! The free walking tour has been the best choice that I could do. It was stimulating and interesting, thanks to all the information that gave us our guide Hans, a smart guy with a great sense of humor that has made everything so much fun and exciting. We really get the time to understand the history. Thanks to his way to tell and explain, I believe that I will never forget what I have learned, from the history of the city to the amusing curiosities! Do this tour!